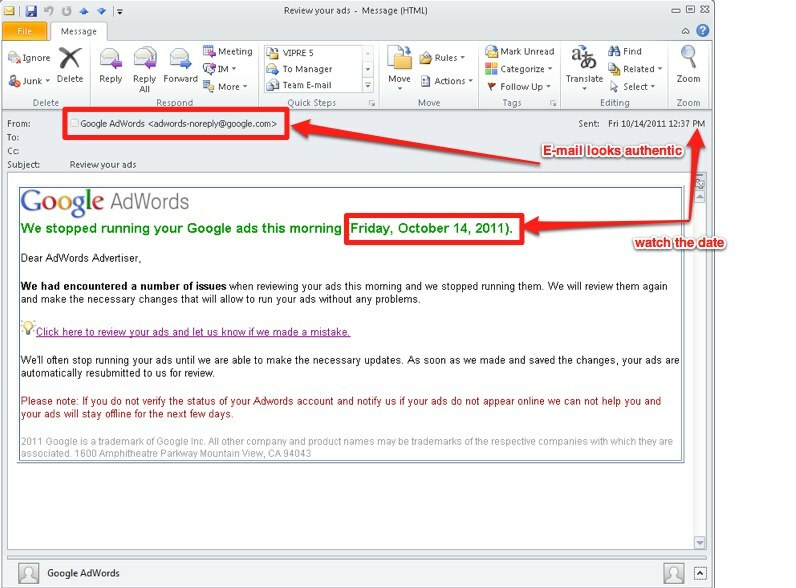 Just a quick warning that some people have noticed there are phishing mails out there who are targeting Adwords account owners. In the e-mails (see examples below) the Adwords account owners are warned that their ads have stopped running based on “a number of issues”. 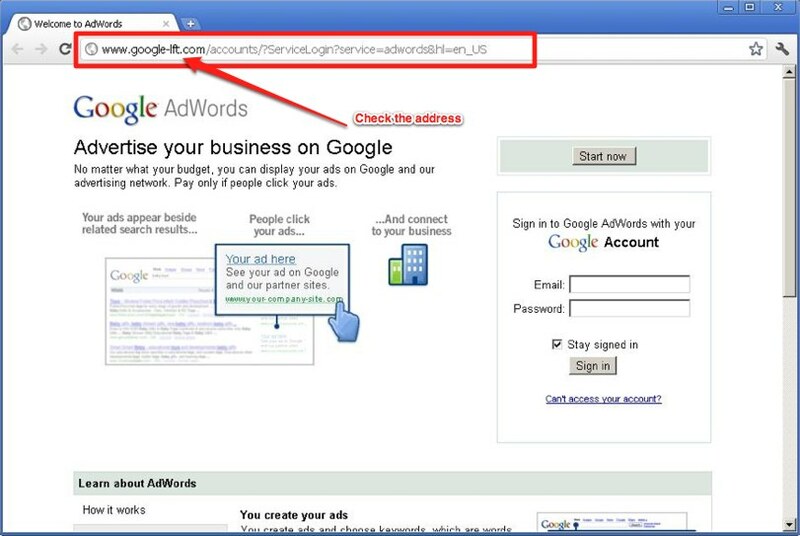 The owners are asked to verify the status of their Adwords accounts and notify Google if the ads do not appear online. When they go online they are led to a place which looks a lot like Adwords where they have to fill in their account details. One of the weird things is that the e-mail is dated on tomorrow and the E-mail address looks valid. When clicking on the link in the e-mail you are taken to a place which has a lot of Google-like touch to it. It could very well be an Adwords account. You are asked to login here. This is where they get your e-mail and password. The address google-lft.com is the biggest hint something is wrong. We usually don’t pay much attention to phishing mails, because there are so many of them, but this one seems really well done and we don’t want our readers to be tricked, so just keep your eyes open for now. Pingback: Be Careful Where You Put Your +1s, They Might be Domain Based - All News & Campaigns.